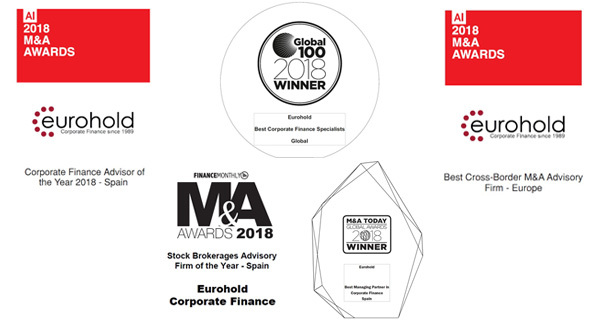 Eurohold is an international network of Corporate Finance specialists with expertise in leading industries and an impressive track-record (more than 25 years in some cases) in domestic and cross-border corporate transactions. 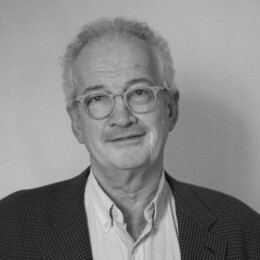 Jean-François Alandry, Eurohold Managing Partner, is the co-founder of the firm created in 1989. 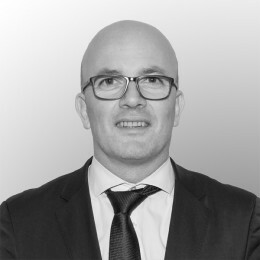 Jean-François gets over 25 years’ experience in Corporate Finance. He completed dozens of deals in his career, advising numerous corporate transactions, both with industrials and Private Equity firms, in various sectors including Technologies and Telecommunications, Environment, B2B Services and Healthcare. 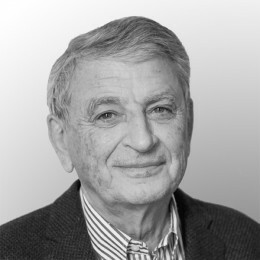 Jean-François holds a MBA in Finance (EM Lyon Business School) and a PhD in Financial Technique (ESSEC Business School in Paris). He lives in Barcelona - Spain since 1987 and can easily work in French (native), Spanish, English and Catalan. 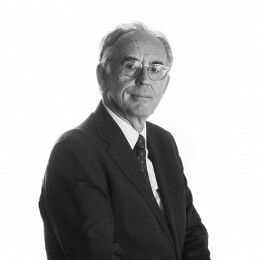 Pascal Vieilledent, Eurohold Managing Partner, is the co-founder of the firm created in 1989. He gets over 25 years’ experience in Corporate Finance, completing dozens of corporate transactions, both with industrials and Private Equity firms in key sectors including Pharmaceutical Industry, Distribution, Transport/Logistics, and Consumer Goods (including Wine Industry). Pascal holds a MBA from the Montpellier Business School in France and lives in Barcelona – Spain, since 1987. He can easily work in French (native), Spanish, English and Catalan. 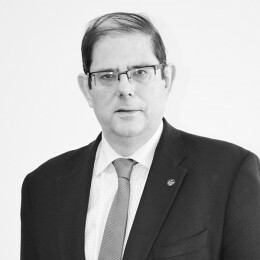 Ignacio Loring Eurohold Managing Partner in Spain (Madrid)has over 25 years’ experience in Corporate Finance, including mergers & acquisitions restructuring and valuation. Since 1988 he has participated in multiple mergers and acquisitions processes in various industrial sectors including Food & Beverage, Logistics and Sustainable Energy. 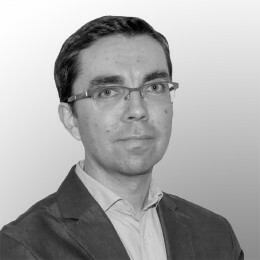 Ignacio has a Master degree at ICADE (Economy and Law) and can easily work in Spanish (native), English and French. Mr. Miguel Iraburu Elizondo is a member of several Boards of Directors and Advisory Boards in the sectors of energy, telecommunications, retail, strategic consulting, engineering, environment and information systems. He is an industrial engineer from the University of Navarra and holds a master degree from IESE. He belongs to the board of directors of several business and promotional organizations in Navarra. He has been first executive of several multinational companies in sectors such automotive, telecommunications, television, transport, energy and equipment goods and vice-president of an investment bank. Collaborates with several international investment funds. With over 20 years of diverse experience in business, ranging from strategic advisory, selling, event management, marketing, fundraising to M&A. 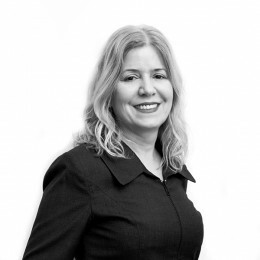 Patricia Wagner has lived in Europe, the UK, the US, China, Hong Kong and now Barcelona, where she is Partner & International Relationship Manager at Eurohold. As Partner, she liaises with internal and external stakeholders to support progression of M&A Transactions, domestically & across international borders, covering all aspect. Patricia’s primary focus is on the International business development of Eurohold and with that the current restructuring of the company to support its growth. Place and date of birth: Mexico City - May 8, 1947 Marital Status: Married Occupation: Chartered Accountant - National Autonomous University of Mexico Professional Experience: Several positions in Mexican banking institutions with a specialization in International Business and National Banking. He has held general management and corporate executive positions. Current Position: Financial Advisor, Business Consultant and Administrator of the Foundation of Social Sector. Bernard started as an auditor with Arthur Andersen. He then became CFO for GDF Suez subsidiaries and start-ups for 6 years. He moved to Innovation financing for 13 years, first as an independent then as a manager for Acies consulting group. He advised companies, from start-ups to ESTX 50 Groups, and private equity firms for M&A (energy, software, real estate), fund raising (software, Internet), debt financing (renewable energy projects), distressed situations (business services) and research tax credit (energy and transport). Bernard graduated from EDHEC Business School. Pauline Houl, Eurohold Managing Partner in China, gets over 20 years’s experience with multinationals on the Western and the Asian market, especially Chinese. That includes Chinese Regulatory, government relations and business environment, general management, board of directors, corporate finance, business strategy, private equity, trust and private wealth structuring, growth management, restructuring, due diligence, post-integration, risk management, Sarbanes Oxley Act (SOX) and SAS70 for financial institutions. Along her career, Pauline held Senior Executive Management positions within American & European multinationals and was involved in various M&A operations within Covance, Merck Serono and Fortis. She then joined Fortis Intertrust as the CFO of Fortis Intertrust Switzerland, being elected to the Board of Directors in 2008. Then she transferred to China and was appointed as the CEO and the Managing Director of Intertrust China (Beijing, Shanghai and Guangzhou). Pauline is currently General Secretary of the Swiss Chinese Chamber of Commerce in Beijing, President and Chairman of Synergy Asia Partners in collaboration with European and Chinese leaders, and Member of the Club XXI Siècle in collaboration with French Leaders. She graduated at IMD in Switzerland and also holds the French Certified Public Accountant (CPA) and a BA in International Business Negotiation. Pauline can easily work in French, Chinese (Mandarin and Cantonese) (native), and English. 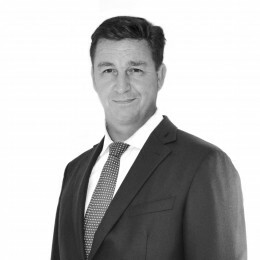 Patrick Camps, Eurohold Managing Partner in South Africa, has over 16 years Corporate Finance and Strategy Consultancy experience in the African market, in key sectors including Energy, Business Communication and Construction. Patrick holds a European Advanced Diploma in Marketing (DEESMA) from the CEFIRE ESARC Business School in Toulouse (France). He has lived in South Africa since 1997 and is a permanent resident in the country. Patrick can easily work in French (native) and English. 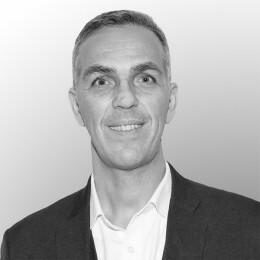 François Fauran, CEO of Eurohold Switzerland SA and Managing Partner of Eurohold, gets over 30 years experience in Pharmacy and Life Science Industry. 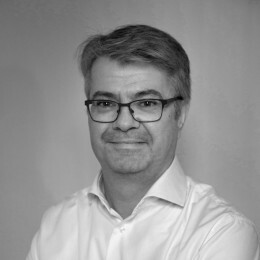 Along his career, Francois has successively been appointed as Laboratoires Sarget Scientific Director, Pierre Fabre R&D Director, Pierre Fabre Medicament General Manager, Wyeth France CEO, and Pharmadev CEO in Switzerland. Francois is a pharmacist, graduated in Industrial Pharmacy and Pharmaco-dynamics in Toulouse University. He gets a PhD in Pharmacology and a Master of Science (chemistry –biochemistry). He can easily work in French (native), English and Spanish. 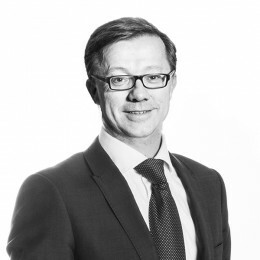 Bruno Tourme, Eurohold Managing Partner in London, gets over 20 years ‘experience in the Technology sector. He is also Senior Advisor for AGC Partners, a global technology investment bank. He specializes in advising software, digital media and information security businesses in EMEA and BRICS countries. 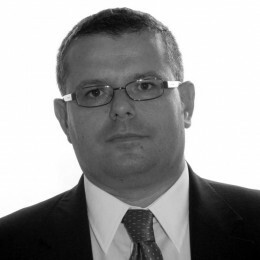 Before joining Eurohold, he was Managing Partner, Head of Europe at AGC Partners. 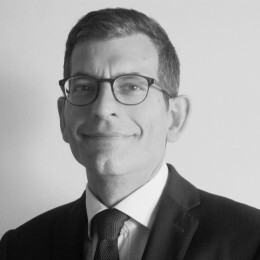 Previously, Bruno was Managing Partner at Bryan Garnier & Co, a leading Pan European Investment Bank focusing on technology, media and healthcare. 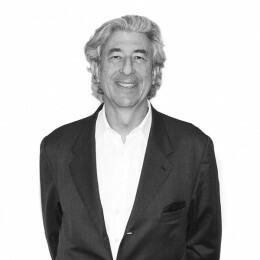 He is also the co founder of Giga Information, a company created in 1995 with the Industry icon, Gideon Gartner. Together, they built what would become one of the greatest successes in technology research, delivering a new unprecedented model. In 2000, he also founded and chaired Giga Group, a technology research company. Under his leadership in Europe, the company grew from scratch to $40 million in 4 years. The business was sold to Forrester research in 2004. 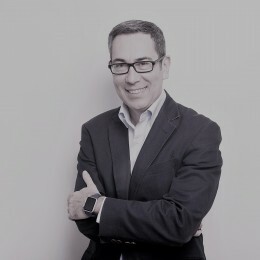 Bruno is also an operating EMEA technology executive: he was EMEA Vice President of BIS Strategic Decisions a Technology Market Research Company and worked for AT&T in various sales and marketing positions in Paris, Brussels and London. He can count with an extensive network of entrepreneurs, investors and strategic buyers in Europe and in the US, and a scope of expertise including Sales & Business development, Deal Sourcing and Negotiation, P&L, Financing, M&A, Technology, and Investment Banking. Bruno is fluent in English and French. 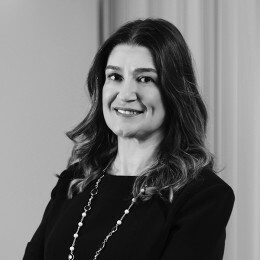 Dilek Ilhan, Eurohold Managing Partner in Turkey, gets over 25 years ‘experience in Corporate Finance, Credit Assessment, Sales and Marketing, Financial and Operational Restructuring and Business recovery. 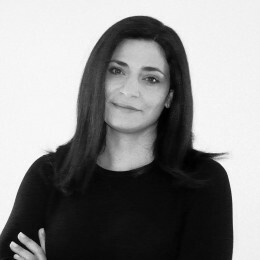 Along her career, Dilek held various positions as an executive and a member of the board in banks and non banks financial institutions including factoring and leasing. She is in advisory business since 2007 and she founded her own private advisory company in 2012 “Dilek Ilhan Restructuring and Management Advisory”. Dilek holds a BA in Business Administration at the Bosphorus University of Istanbul (Turkey), and can easily work in Turkish (native) and English. 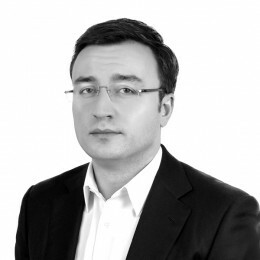 Vitali Dasinevich, Eurohold Managing Partner in Russia and CIS countries, gets over 15 years’ experience in the FMCG, logistics, retail and e-commerce, working on managing positions in international companies. Vitali holds a university degree in a business administration (Belarusian State University, Belarus) and a MBA in Financial Management (Coburg University of Applied Sciences, Germany). Vitali is fluent in Russian (native), English and German. Mehdi spent the last 10 years in consulting businesses with a focus on strategic and financial advisory. At Maera Capital and MZ Invest, 2 companies that Mehdi was in charge of as a managing partner, Mehdi worked as an end-to-end partner for international investors keen on investing in Morocco as an attractive market in itself and as a gateway for Africa (deal sourcing, due diligence, structuring and post investment monitoring). Prior to that Mehdi provided corporate and advisory services to Moroccan and foreign leading Corporates and Institutions in Morocco and Europe in his previous functions within H2dev (Casablanca), Valyans Consulting (Rabat) and KPMG (Paris). Mehdi is a graduate of Reims Management School and holds a master from Maastricht University. He speaks French, English and Arabic. 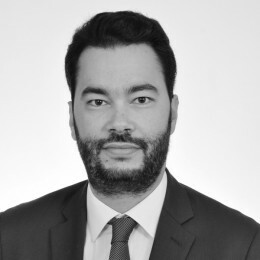 Carlos has nearly 20 years of experience in corporate finance (mergers, acquisitions, capital raising, valuation) as well as in management consulting, having intervened in several European markets such as France, Luxembourg, Spain, Portugal, Belgium, Germany and Switzerland. Carlos lead numerous projects in the hotel sector, commercial real estate, food sector, manufacturing industry, renewable energies and new technologies. 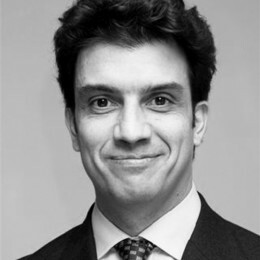 Carlos has lead key managerial roles with Andersen, Deloitte, Christie + Co and Eurallia Finance. Having graduated from McGill University, Carlos intervenes fluently in French, English, Spanish and Portuguese. 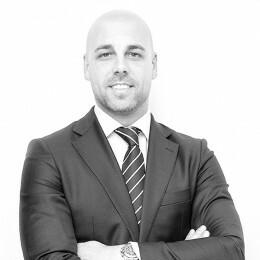 Carles has more than 15 years of experience in the high-tech and investment banking industry with various general management, corporate development and corporate finance roles. He has a successful track record with fund raising (early and late stage) and M&A transactions (sell-side and buy-side) with start-ups and large corporations in Silicon Valley. Carles holds a BS in Law and Master in Business Administration and several executive programs at Stanford, London School of Economics and IESE. He currently lives in the San Francisco Bay Area and speaks English and Spanish. 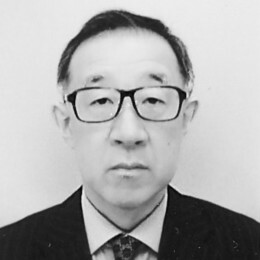 Yoshihito Oike is one of most experienced and insightful, cross-border M&A, restructuring and turnaround specialists in Japan. He is a recognized leader in the technology-based sectors, real estate sector, utilities and energy sector and retail and consumer sector. Prior to his current role, he was a Managing Director in Global Banking at Citigroup Limited ( former Nikko Citigroup Limited ). 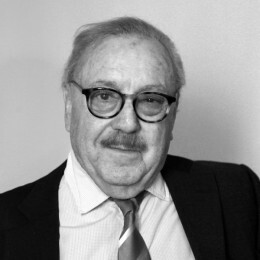 Prior to Nikko Citigroup Limited, he achieved investment banking roles included senior positions with Calyon Securities (Credit Agricole Investment Bank) and also Godman Sachs. 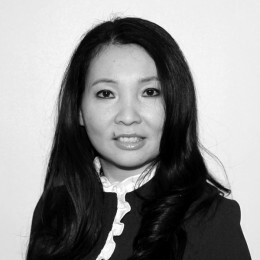 Prior to investment banking, Yoshi was for 18 years, a partner in business assurance and advisory with PriceWaterhouse Coopers, including 8 years with the firm in the U.S. He is a graduate in economics of Yokohama National University and he holds an MBA from the University of Chicago. He is a member of JICPA (Japan institute of Certified Public Accountants), and the California Board of Accountants (US CPA). He is fully bi-lingual in both English and Japanese. 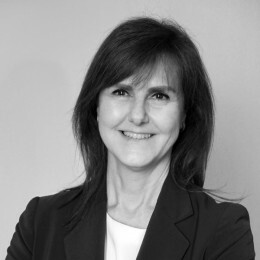 Cristina Alloza, Eurohold Partner in Spain (Barcelona), gets over 15 years’ experience as a CFO but also as a Human Resources and a IT Manager, and as a board member in computer distribution, consumer electronics, technology consulting, air transport and textile companies. Since she joined Eurohold in 2007, Cristina took part in various corporate operations in sectors such as Retail, Healthcare, Technology and Transport. She gets a background in Business complemented by a Management Development Program at IESE (Spain), with a specific training in Finance and Negotiation. Cristina can easily work in Spanish and Catalan (native), and in English. 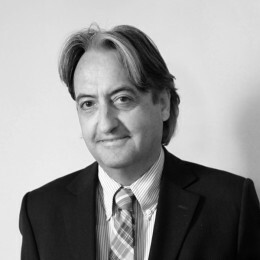 Sebastian Barajas Caseny, Eurohold Partner in Spain has over 30 years’ experience in Corporate Finance (Mergers & Acquisitions) and consulting. All along his career, as a Managing Partner of SEISA or with Andersen and Deloitte, he supported his clients in a large number of corporate deals and consulting projects in the fields of strategy, change management, technology implementation, and financial optimization. Graduated in Economic Sciences, and holding a MBA with ESADE, Sebastian also authored “Las Finanzas como instrumento de gestión las Pymes” (Link). Sebastian can easily work in Spanish, Catalan (native) and in English. 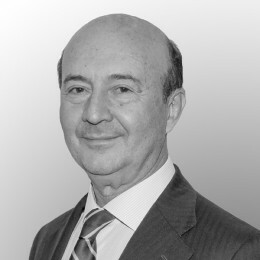 Hilario Mata, Partner at Eurohold in Spain, has more than 30 years-experience in consulting, and as top executive in several companies in the consulting and technology sector and in Corporate Finance / M & A projects. His professional career has been developed in Andersen Consulting / Accenture, and in positions of high executive level in EDS-Reg. VP SC Spain and Portugal- and DaVinci Consulting (3i) -CEO-. He has more than 10 years-experience in Corporate Finance /M&A with a high specialization in the technology / ITC services sector. Aerospace Engineer by the UPM (Polytechnic University Madrid). 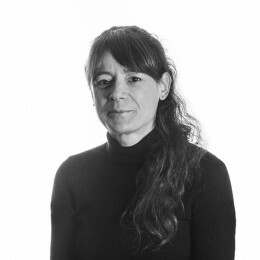 Helena Sobreviela, Eurohold Partner in Spain, has 18 years’ experience in financial departments of multinational companies operating in the sector of retail distribution, publishing and consulting. Before she joined Eurohold, Helena worked 15 years as Financial Director and Board of Directors member, being responsible for the back office area with a special focus on corporate restructuring (divestments, acquisition and integration of subsidiaries, mergers and corporate reorganization). She holds a Master in Management from Edhec Business School (France), with a diploma in Finance from the London School of Economics (UK) and followed training in management at Esade (Spain). She can easily work in Spanish and French (native), English and Catalan. Edwin Schreur, Eurohold Partner in Spain, gets over 20 years’ experience in management positions mainly in multinational companies. He is the founder and CEO of Randstad Spain since its creation and was the CEO of USG People (2008-2012). Edwin graduated in Economics and Health Sciences at the Erasmus University in Rotterdam (Netherlands), holds a Master at INSEAD (France) and a Master at IMD Lausanne (Switzerland). He settled in Spain in 1989 and can easily work in Dutch (native), Spanish, English, German, French and Portuguese. 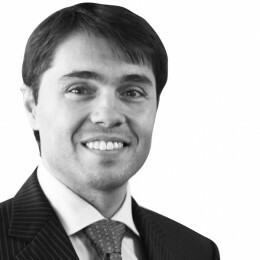 Gabriel Mesquida, Eurohold Partner in Spain gets over 20 years’ experience in various sectors including Agriculture, Environment (water and energy), and Telecommunication. All along his career, he worked in various companies departments, including production, operations, strategic planning and financial management. Gabriel holds a degree of Agronomist Engineer from the Madrid Polytechnic University and a MBA from the Pontificia Comillas University. He also gets research competence in mathematical methods applied to agriculture, in the UPM’s Agricultural Economics Department. He can easily work in Spanish and Catalan (native), and in English. Ramon Brusco is a Partner at Eurohold in Spain (Barcelona). 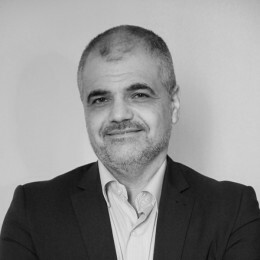 He has more than 16 years of experience internationally in the pharmaceutical sector and proven record of multicultural negotiations and relations across, an extensive network of contacts in the Middle East and African region, as well as successful experiences in the main Saudi Arabian and United Arab Emirates markets. In the past years Ramon participated in multiple deals and licensing transactions locally and regionally. He holds a Bachelor degree from the Universitat Autònoma de Barcelona (U.A.B), as well as a Master in International Business, Economics and Finance from the University of Barcelona and an MBA from the Universitat Politècnica de Catalunya (U.P.C). Ramon is fluent in Spanish, Catalan, English and Italian. 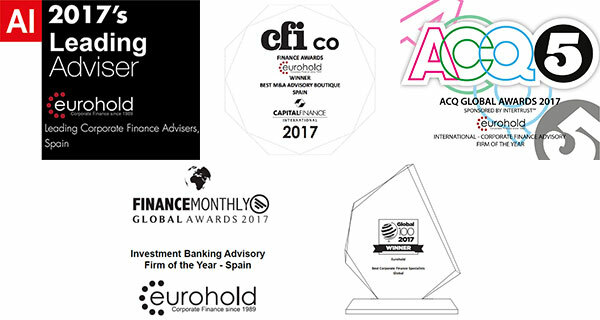 Advising in processes: company sales, corporate acquisitions, debt advisory, exit strategy , development capital, MBOs and MBIs, recapitalization, strategy grow. Exclusive knowledge of buyers targets and funders. Implementation of a strategic plan to: change the financial structure, make it profitable and efficient company and develop a marketing plan designed to grow sales. Head of Key Accounts Department of Catalonia, Aragon and Baleares (February-December 1998). Management and coordination of the Department of Large Accounts, with overall responsibility for the planning and implementation of trade policy. 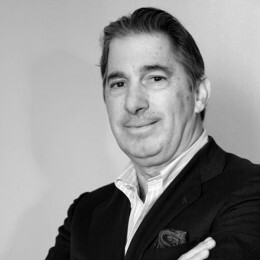 With more than 20 years’ experience in the management of luxury business, 1996 to 2014 as Managing Director at Montblanc Iberia (Richemont Group) developing the Brand in Spain and Portugal from the stationery business to the High-end Jewelers and creating Retail from its start thus including a strong development at El Corte Ingles. Member of supporting team within Montegrappa Italian Brand integration at Montblanc International. Hubert joined 2011 APG (Asociacion Paseo de Gracia) supporting over 190 associates in different aspects such as security, local action plans as well as an international marketing Plan to bring across the name of Paseo de Gracia and support tourism to visit Barcelona. In 2016 named Vice President. Since 2014 Cofounder of Alpervintage SL, dedicated to the investment and management of companies in the field of Premium Services and Consumer Goods. Fluent in German English and Spanish, lived in Guatemala / Mexico during 4 years after finishing High School in Barcelona and Foreign trade studies. Came back 1988 to start within family owned company prior to join Montblanc in 1993. 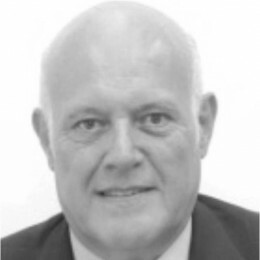 Jean-Alain Jullien, Eurohold Partner in Spain, gets over 30 years’ experience in the environmental sector. 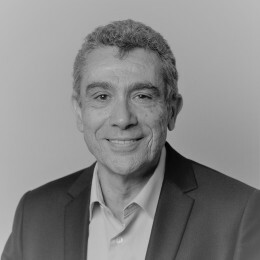 Throughout his career at Veolia Environnement (former Compagnie Générale des Eaux and then Vivendi), Jean-Alain has held the positions of Sales Manager, Factory General Manager, and Latin America Development Manager at Sarp Industries, Deputy CEO of “Industrial waste” at FCC Environment, Development Manager at Onyx Spain and General Manager of Veolia Propreté Spanish Branch. 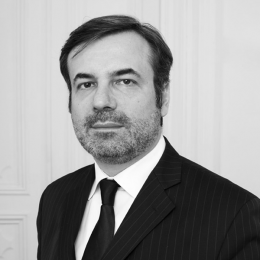 Gentleman of the National Merit Order, International Trade Advisor of France in Spain, Jean-Alain is also a member of French Chamber of Commerce and Industry of Barcelona’s Board. He graduated in the Superior Institute of Management in France and can easily work in French (native), Spanish and English. Industrial engineer and Economist, Yves Charnet is renowned for its Manager and strategic advisor talents, which led him to develop his professional career for more than twenty years as executive director in large groups such as Danone, in different European subsidiaries as well as subsidiaries located in the North American continent and in the publishing Spanish Group Planeta. Then, he focused on the "revival of companies ", mostly from the AGRI-FOOD sector, optimization of results and advice of increase in value, thanks to the exercise of the general direction of these medium-sized companies. Since 2006, he is engaged in the downsizing and merger of companies at European level, first in partnership with a French group, then with a major law firm in Barcelona and now in EUROHOLD. Since 1998, he encourages and transmits with passion his professional experience to postgraduate students in Business courses from the universities of Montpellier and Barcelona. 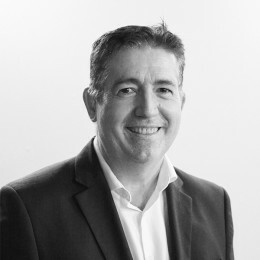 Alejandro Blanco was Managing Director at Homes Experience Group. Previously, Alejandro worked at Bravo Capital as Territorial Director of Catalonia, establishing the private and alternative financing structure for large Spanish companies and institutions. Previously, he was Director of Corporate Banking at banks such as Banco Popular, Ibercaja Banco and Catalunya Caixa. He holds a Diploma in Tourism from the University of Girona, studied Business Administration and Management at the University of Barcelona, and a Master’s Degree in Financial and Economic Management from the University of Barcelona and finally has participated in the Business Angels School by ESADE. 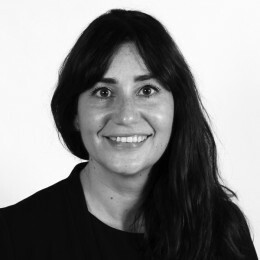 Graduated from Toulouse Business School and ESEC Barcelona, Fanny has a 16 years’ experience in M&A and financing consulting services. She started as Corporate Finance analyst with Eurohold for 5 years. She then decided to pursue her career as an M&A consultant for JRD in Lyon during 8 years. After moving to Innovation financing for 3 years as a senior consultant, she joined Eurohold in 2015 as Partner France. Xavier Alfonso, Partner of Eurohold in Valencia, has gained more than 18 years of experience of advice in M & A and in Private Equity. After 5 years as Director in a firm of M&A, in 2004 Javier joined the venture capital firm Valcapital Management SGECR, where in 2008 he was selected as Managing Partner, Director of the Management and also of various affiliated companies with company participation. In 2013 he founded the firm M&A VALCORP and in 2016 joined Eurohold as Partner in Valencia. He has successfully participated in more than 20 corporate transactions in sectors such as Food Industry (Paper, Habitat, Engineering, ...), Health Services and New technologies. Javier speaks Spanish, Valencian / Catalan (mother tongue) and English. Bachelor of Business Administration from the University of Valencia, Javier has also completed courses in Corporate Finance (Instituto de Empresa), PDD (IESE) and 15x15 Courses of EDEM. Cofounder of Alpervintage SL, dedicated to the investment and management of companies in the field of Premium Services and Consumer Goods. Before this role, Angel was CFO of Montblanc Iberia, fully owned by Compagnie Financière Richemont, one of the world’s leading groups in the field of Luxury goods. During his 14-year tenure, he oversaw operations and financial planning for Spain and Portugal. The beginning of his career was in the Audit and Consulting business working in senior positions for PriceWaterhouseCoopers in Barcelona and with C&L Deutsche Revision in Hannover (Germany) Angel holds a PDD degree from IESE Business School, University of Navarra and he is a Registered Spanish Chartered Accountant. 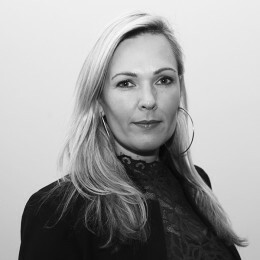 Sonja Fell, Eurohold Partner in France (Paris), has over 20 years’ experience in Corporate Finance with international companies and has successfully planned and executed a wide range of cross-border M&A transactions, both on the sell- and buy-side. She is specialised in the Software and IT-Services sector. 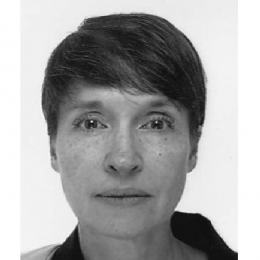 Sonja holds a MA in Literature from Université Paris-Sorbonne and an MBA from Saint Xavier University Chicago. She speaks German (native), English and French. Josep M Piqueras, Senior Advisor of Eurohold, has more than 30 years of experience in the pharmaceutical and health sciences sectors. Previously in his professional career, he held positions at Boehringer Mannheim, Hoffman La Roche, and the Indukern Group, where he was Plant Director and General Manager of Kern Pharma, to eventually serve as director of M&A for the entire group including chemistry, veterinary and pharmacy. He is also currently a partner at Urma Consulting SL. 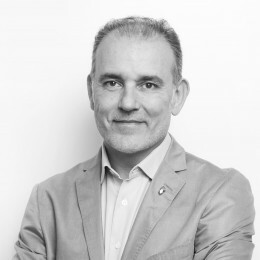 Josep M holds a degree in pharmacy from University of Barcelona and an MBA from University of Pompeu Fabra. He is also VP of the federation “Catlana d'atletisme” and president of L'Hospitalet athletics club and the foundation “Pere Suñé”. 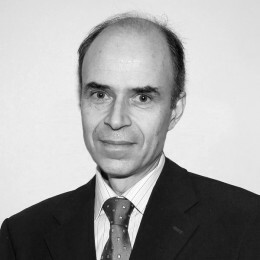 Jean-Jacques DUFFAU, Eurohold Senior Advisor in France, has over 25 years’ experience in corporate banking, investment banking and Private Equity. During 22 years, Jean-Jacques held various corporate and investment banking management positions at BNPParibas and participated to several investment and M&A operations. He then became partner of “Transaction Finance”, an independent M&A boutique, where he completed numerous M&A operations. 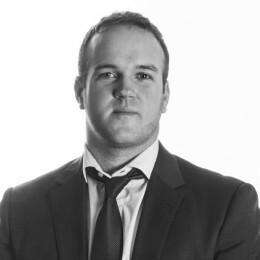 Jean-Jacques holds an ESSEC Master degree, and can easily work in French (native), English, German and Spanish. Carlos Salsas, Eurohold Senior Adviser started his career as Manager of the Linde Ibérica division, a German Engineering and Facilities Company, and Delegate Director of International Financial Management, a subsidiary of Banco Atlántico. In 1977, he became founding partner of SEISA, an M&A company recently integrated into Eurohold. All along his career, Carlos developed an expertise in mergers and acquisitions and structured finance for major projects in both the public and private sectors. He was also an Advisor in the board of several Axis Catalans’ participations (Axis is a venture capital firm of the ICO (Instituto de Credito Oficial)). Carlos is an Industrial Engineer graduated from the Escuela Técnica Superior de Ingenieros de Barcelona. He also has a Business Management degree at IESE-PDE (1974) and a Business Degree at Alexander Hamilton Institute (New York). 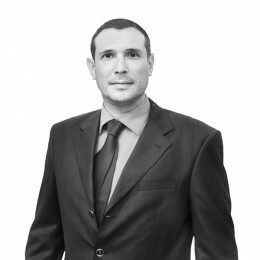 Laurent is a M&A advisor since 1991, as he joined HSBC Investment Bank in London then in Paris. He then worked as a Director with PwC Corporate Finance Advisory and further with Deloitte Finance where he was involved in small-mid market transactions mostly cross-border between 1997 and 2003. After a few additional years with Credit Suisse, he founded and developed a department within Groupama (leading French insurer) offering M&A advisory to a large variety of family-owned companies and industrial groups for more than 8 years. His recent positions were Head of M&A execution within Pramex, part of BPCE Group in France, dedicated to cross-border deals, and Head of Investment Banking with Delubac & Cie, an independent French bank. 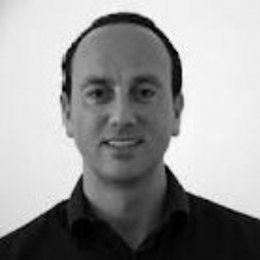 Julien Lagenette, with French nationality is part of Eurohold’s team since January 2007, first as analyst and Associate since January 2010. He is also Head of Execution since 2015. With more than 10 years of experience in Corporate Finance, he has closely participated in dozens of transactions in key sectors such as Agro-Food, Pharma/Healthcare or Information Technology. Julien holds a Msc. in Management, with a specialization in finance from the EM Lyon Business School. He arrived in Spain in 2007 and additionally to his native French, he speaks fluently Spanish and English and correctly Catalan.